Bids on Atari properties have been made by Wargaming World Limited, Stardock Systems and Rebellion Interactive, among others. With one gaming related bankruptcy case having just closed, another is moving forward. 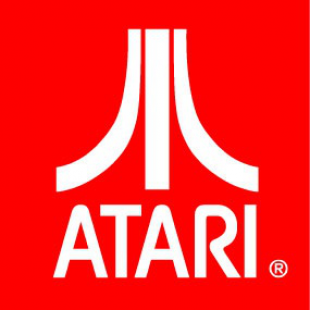 Atari, once the company that arguably sired the modern gaming industry, filed for bankruptcy in January and has now sadly begun the process of selling off its assets via auction. It's a turn of events that has seen some shedding tears for the declined giant while others have taken steps to prepare for a changing of the guard as franchise rights switch hands, something that already appears to be happening. Information regarding the current auction would point to successful bids by companies including Wargaming World Limited, Rebellion Interactive and Stardock Systems, on several assets. Perhaps most notably, Wargaming, the studio behind the popular free-to-play title World of Tanks, has made offers on the rights to the stategy classics Total Annihilation and Master of Orion. Sins of a Solar Empire developer Stardock has likewise placed a bid on the Star Control franchise. Rebellion in turn made an offer on Battlezone with other properties receiving bids from a several other companies. In addition to the ongoing auction, Nordic Games, which picked up several franchises in the wake of THQ's collapse, also recently bought the rights to the games Desparados and Silver. While the Atari bankruptcy case is unfortunate on its own, perhaps the most distressing part of the process is the uncertainty currently surrounding the company and its affiliates. GOG, for instance, unsure if it would still have access to them in the future, recently held a sale on all of its Atari-licensed products. Likewise, while talks to resolve the issue are still ongoing, Atari's recent dispute with Beamdog, the studio behind the Baldur's Gate: Enhanced Edition, has left the developer and its plans hanging in legal limbo.